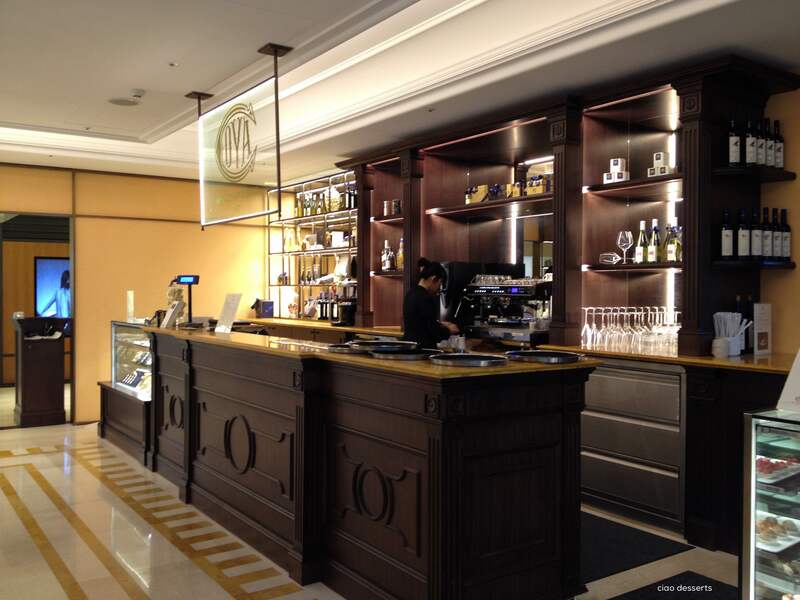 After you are seated with menu in hand, order your drink and then go take a look at their pastry case. 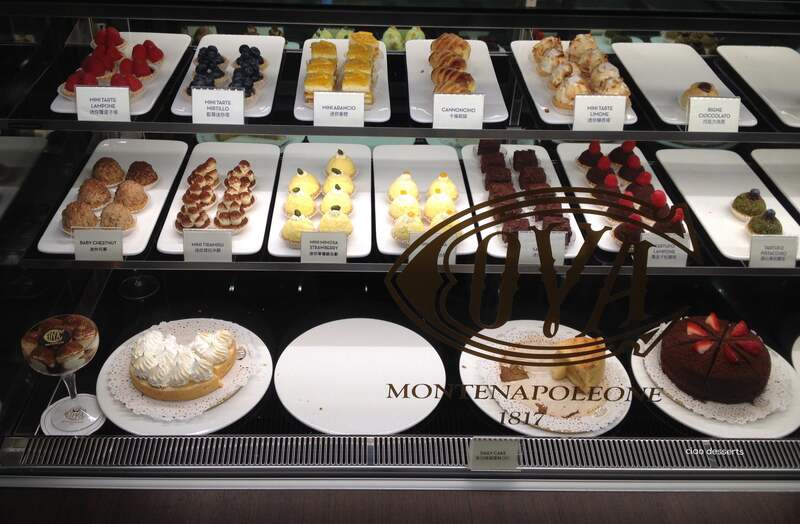 The case is filled with a tempting selection of “mini” desserts, on the left side, top shelves, slices of cake towards the bottom. 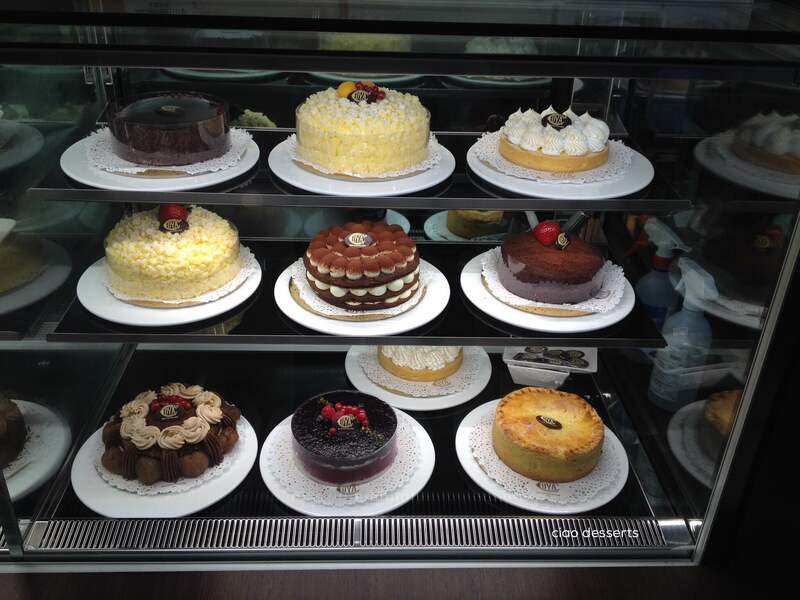 The right side is filled with decadent cakes that you can order for a birthday or special occasion. The mini desserts are just the right size of satisfying. You can try several different types without feeling overwhelmed. 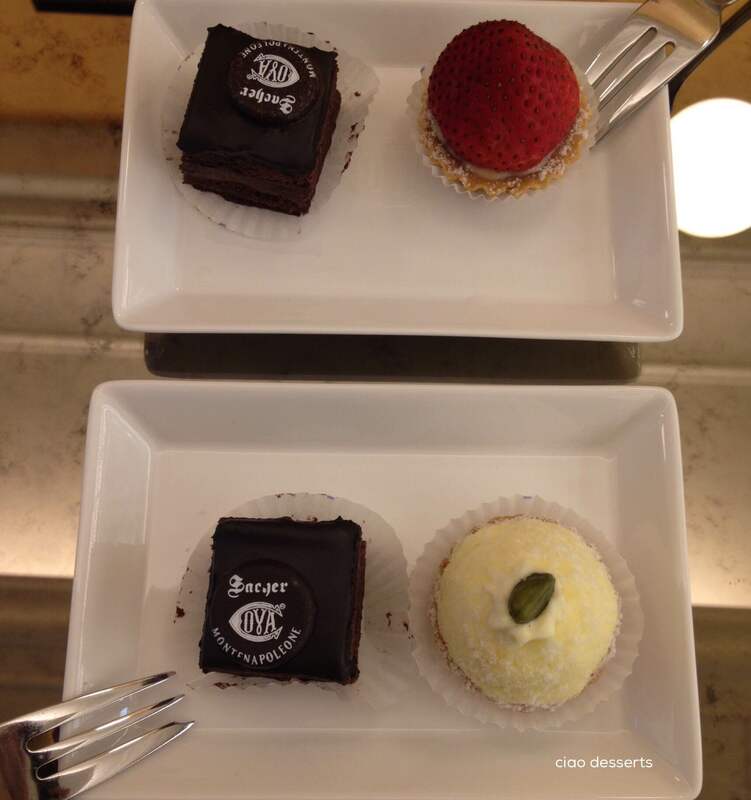 The mini desserts are a good way to try all that Cova has to offer, before committing yourself to a bigger portion. I’ve tried the mini sacher torte (too sweet, and not chocolatey enough for me) the raspberry tart (divine crust, and buttery custardy filling) and mango mousse (ethereal mango heaven). There is a minimum drink order at Cova, and they have the usual espresso drinks. But I actually really enjoy their hot chocolates. They can be served with steamed milk, or without. The version served without milk is thick like fudge. If you prefer a lighter version, definitely make sure to order the one with steamed milk. 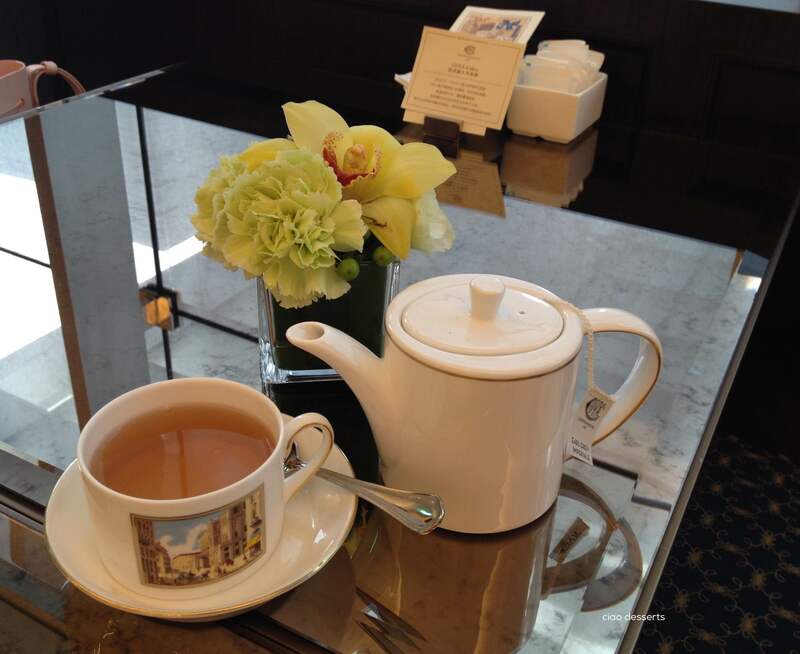 I also discovered that their in-house Earl Grey tea pairs well with all their desserts. And after all the taste testing (seriously hard work :p) I finally found the cake that will forever have my heart. The Mimosa fragola. 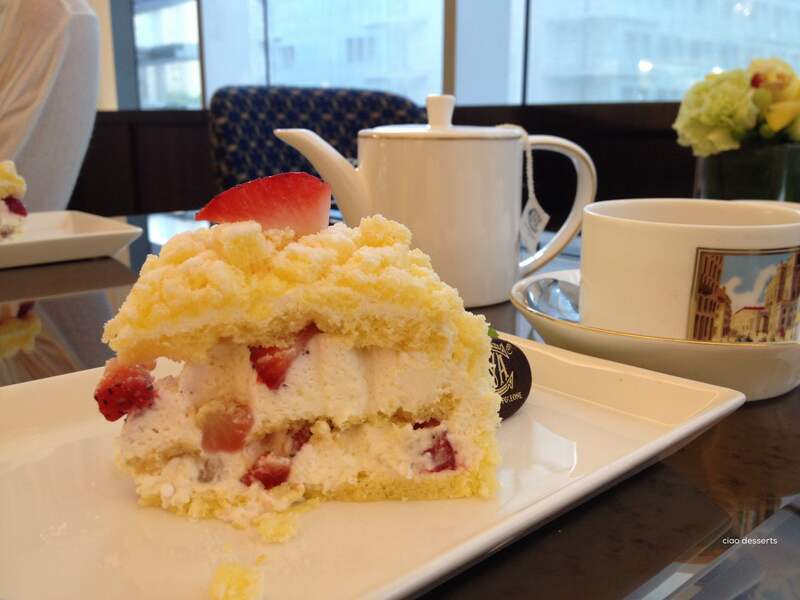 The mimosa fragola has a light, feathery sponge cake base, and is layered with Chantilly cream and fresh strawberries. The cake is lightly frosted with more Chantilly cream and then topped with tiny pillows of sponge cake. On a side note: I’ve heard that in Italy, these cakes are given by men to women to express their love. If someone bought me (or made me) this cake, I would definitely feel their love! 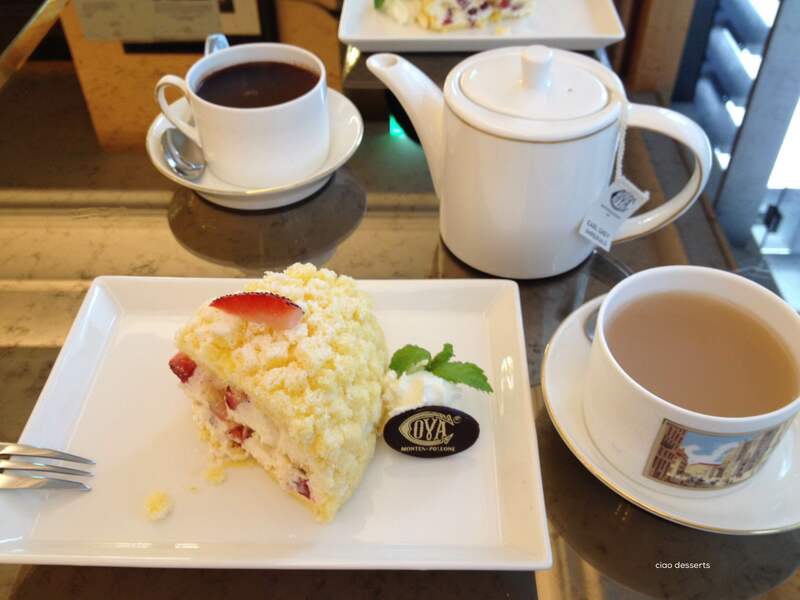 Cova is a lovely location for afternoon tea. 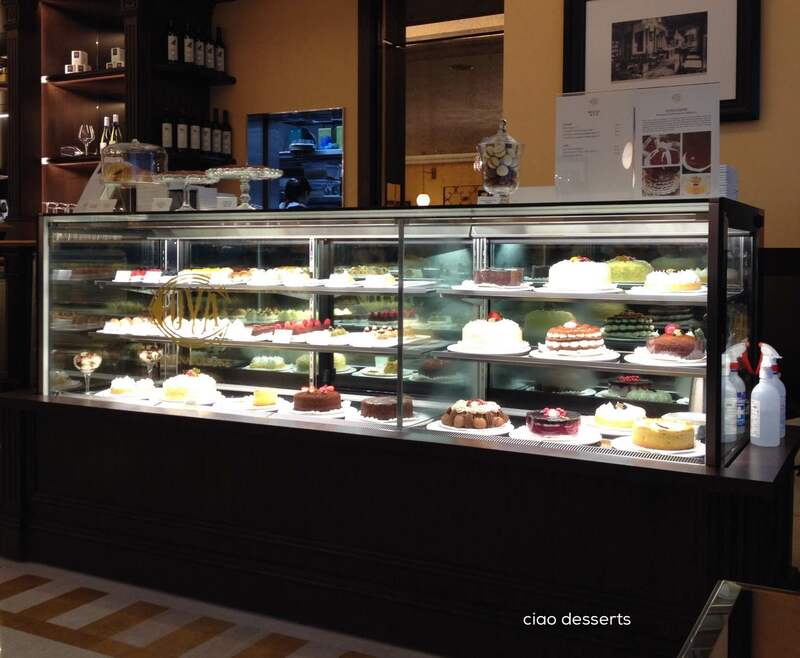 The space is quite generous, the ceilings are high, the lighting is soft and warm, and the desserts are a treat. Perfect for chatting with a small group of dear friends. 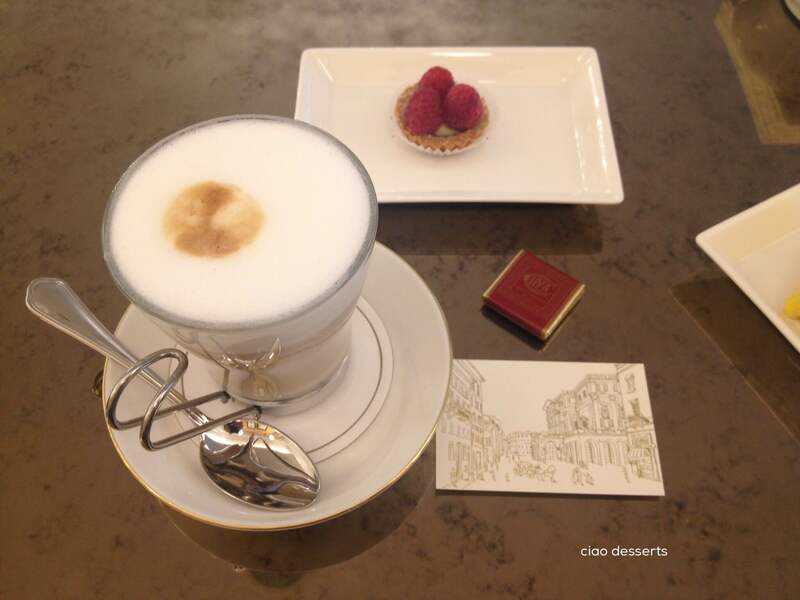 This entry was posted in Uncategorized and tagged afternoon tea, Breeze Xinyi, desserts, Italian desserts, mimosa fragola, pastries, strawberry, Taipei. Bookmark the permalink.